Back in 2008, Konami released the Metal Gear Solid Essentials Collection shortly before the long-anticipated Metal Gear Solid 4: Guns of the Patriots. 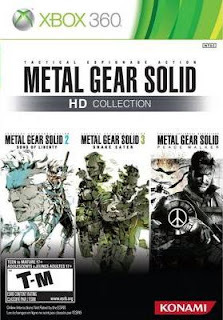 The Essentials Collection was comprised of the first three Metal Gear Solid titles, and served as a refresher for veterans of the series as well as an inexpensive means for newcomers to get acquainted with Solid Snake and Big Boss. Now Konami is at it again with the Metal Gear Solid HD Collection, and gamers can revisit three games from the series on the current gen consoles. 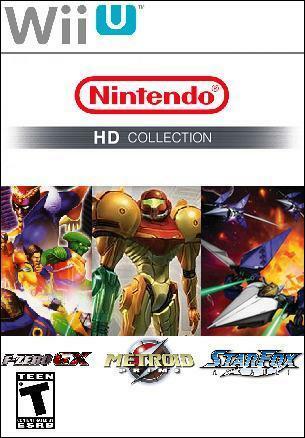 Included in the HD Collection are Metal Gear Solid 2, 3, and Peace Walker. For those not so familiar with the chronology of the series, Metal Gear Solid 2 is a direct sequel to the PS1 Metal Gear Solid, while 3 and Peace Walker act as prequels to the original MSX Metal Gear games. Metal Gear Solid 2 is divided into two chapters. The first puts you in control of Solid Snake as he sneaks aboard a US Marine corps tanker making its way down the Hudson River. Otacon has uncovered information that the Marine corps has been developing a new type of Metal Gear, and Snake's mission is to locate it and snap some photographs that they can leak online and expose the military's unethical decision to construct such a machine. The situation quickly escalates as Russian soldiers board the tanker and take out the guards, and Snake barely manages to send Otacon the photos before Revolver Ocelot shows up, steals the new Metal Gear RAY, and sinks the ship into the river. The first section lasts an hour at the longest, and serves primarily as a tutorial section, allowing you to familiarize yourself with the controls, sneaking tactics, and a brief boss battle. Two years later, Raiden is sent into a water decontamination facility known as Big Shell, in order to rescue hostages from the terrorist organization known as Dead Cell. 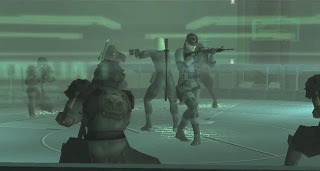 This second chapter, known as the Plant Chapter, has Raiden sneaking around guards, disarming explosives, swimming through flooded areas of Big Shell, and going toe-to-toe with the four members of Dead Cell. The Plant Chapter has a greater variety of gameplay, and also lasts significantly longer. Many of the areas in Big Shell look similar, and it can be easy to get lost early on. Raiden can be whiny at times, but he's nowhere near as unlikable as his girlfriend/radio support Rosemary, who can't seem to remember that Raiden is on an important mission and should not have time to chat about her feelings. Meanwhile, the odd behavior and unique abilities that each member of Dead Cell exhibits makes them quite interesting. The story may be slow-going at first, but the darker tone and multiple plot twists that unfold during the last few hours make it all worth the trouble. Metal Gear Solid 2 may not control as smoothly as the other two titles, and there are moments that prove rather frustrating. But the boss fights are epic and the story has a downright brilliant conclusion. Easily the best of the bunch, Metal Gear Solid 3 follows Naked Snake as he is sent into Russia to stop a separatist group known as GRU and their leader the sadistic Colonel Volgin from usurping Khrushchev and developing the Shagohod, an all-terrain tank armed with nuclear missiles, in order to start a war with the US. Snake must make his way through the jungle and use various camouflage and face paints to blend in with his surrounding and avoid detection by the enemy. The rate at which Snake recovers health is determined by two factors - how hungry he is, and if he is injured in any way. 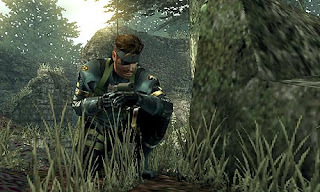 Snake has a limited number of rations and medical supplies at the outset of Operation: Snake Eater, though wild animals can be killed and eaten, while bandages and splints can sometimes be found in warehouses and supply rooms. Snake's mission is two-fold. While he maintains his focus on stopping Volgin and destroying the Shagohod, he is constantly reminded of the fact that he must face down the elite members of the Cobra Unit and The Boss - their leader and his former mentor. Snake also becomes romantically linked to one of his contacts, a blonde code breaker named EVA, and shares a rivalry with a young Revolver Ocelot. All of this culminates to one of the greatest stories ever told in a video game. What Hideo Kojima has accomplished with Metal Gear Solid 3 is unrivaled by many a novel, film, or television series. Finally, Metal Gear Solid: Peace Walker sees perhaps the boldest undertaking by Konami, as it was originally released for the Playstation Portable and has been ported over to consoles. Peace Walker takes place ten years after Metal Gear Solid 3 as Naked Snake (now known as Big Boss) is in the process of training his own private army after having left the United States behind. He is asked to intervene in Costa Rica, where a series of AI-controlled mechs are being developed. Peace Walker's level design is similar to that of Metal Gear Solid 3, with small areas connecting to one another, though Peace Walker shrinks these down and sets up barriers in order to make gameplay more linear. The game adopts an RPG element of recruiting troops and developing weapons, the results of which are mixed. On the one hand, putting the time and effort to experiment with this can unlock different weapons and make your experience different from anyone else's. On the other hand, it can prove annoying when a certain weapon or item is required to progress to the next mission and you must grind through the optional missions so that the research can progress. Peace Walker's visuals don't quite hold up to the other two, but for a handheld game it looks pretty darn impressive. There's a great attention to detail, and colors pop nicely against the backdrops of different environments. Traditional cutscenes are thrown out in favor of a gritty motion comic style. Some of these sequences involve quick time events, and all of it plays out well - it's a great artistic direction for the game and provides an extra level of immersion. While the Metal Gear series has a long history of great soundtracks, Peace Walker's might be the best yet. Not all HD collections are made equal. There have been some in the past couple of years that left players disappointed due to a lack of content or aesthetic alterations. With the Metal Gear Solid HD Collection, it's a completely opposite scenario. Despite the fact that the first Metal Gear Solid is not included, the bonuses of MGS2's VR missions, Peace Walker's online multiplayer, and the original Metal Gear and Metal Gear 2: Solid Snake provide plenty of replay value after the main three games have been completed. When other companies look into releasing HD collections of classic games, the Metal Gear Solid HD Collection should be their primary reference. Last night marked the beginning of Toonami's new Saturday night schedule as part of Cartoon Network's Adult Swim lineup. The shows were all new to Toonami - no Gundam Wing or Dragon Ball Z this time around. And while some viewers were upset by the omission of these classics, I was among those who embraced this new direction that Toonami is taking. It's a new Toonami aimed at the Adult Swim audience, and I think the new shows are fitting to that end. The new lineup consists of Bleach, Deadman Wonderland, Casshern Sins, Fullmetal Alchemist: Brotherhood, Ghost in the Shell, and Cowboy Bebop. Bleach, FMA: Brotherhood, Ghost in the Shell, and Cowboy Bebop are classics, and I'm not at all surprised that Cartoon Network chose to carry them over to the new Toonami block. The other two, however, are brand new to both Toonami and Cartoon Network. Based on the first episode, I was not particularly impressed with Deadman Wonderland. The premise was interesting enough, and the first five minutes or so kept me entertained, but from then on it seemed like the show followed a very cliché path. I'll probably give another episode or two, but the first episode did little to impress me. Casshern Sins, on the other hand, was rather enjoyable for a very dark and melancholy robot action anime. I love the character and environment designs, and I feel like the first episode gave a decent sense about who Casshern is through his actions. There seems to be an air of mystery with both Deadman Wonderland and Casshern Sins, and I expect each one to peel through layers in the coming weeks. As I have mentioned before, Toonami was a huge part of my childhood and the gateway that led me to discover anime in the first place. After the April Fools airing, I honestly did not expect them to resurrect Toonami, but I could not be more pleased that they did. I would like to see some other shows added to the lineup in the future. I think the fact that they managed to put together a solid programming block this quickly following the April Fools airing is great, but four out of the six shows currently airing were already part of the Adult Swim lineup. I think Cartoon Network would be wise to keep those shows - Fullmetal Alchemist: Brotherhood and Bleach are still incredibly popular, and there is no sense in taking them off the air. But perhaps Toonami could throw some other relatively recent action anime like Darker Than Black or Gundam 00 into the mix as the process of rebuilding Toonami continues. The hilarious misadventures of Sgt. Keroro and the Armpit Platoon continue into the second season. For those not familiar with the back story, Keroro is the leader of a small team of space frogs whose mission is to conquer Earth (or as they refer to the planet, Pekopon). Fortunately for humanity, Keroro's track record is less-than-spectacular and his motivation is frequently sidetracked due to his obsession with Gundam model kits. He ends up living with the Hinata family under the pretenses that he take care of daily chores, act as inspiration for mother Aki Hinata's job printing volumes of manga, and not attempt to conquer mankind. The first season saw Keroro yelled at by his own subordinates, beaten to a pulp by Natsumi Hinata on multiple occasions, and the Armpit Platoon hatching many plans to conquer Pekopon, each one failing in spectacular fashion. Season two picks up some unspecified time after the end of season one. The first season made it pretty clear that, while some episodes might chronologically occur after others, it isn't really necessary to view them all in order to grasp the general story of the anime. The same is true with season two. There will be plot points referenced by the ever-amusing narrator, but it's just as easy to pick up season two from the first episode as it is from the halfway point. As luck would have it, Keroro and his troops have not yet managed to conquer Pekopon. But they still have plenty of half-baked plans to put into action. Some of the funniest moments in the first season were due to the show's tendencies to parody other media, and this carries over to season two. 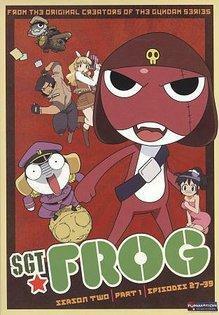 Keroro and company parody a wide range of films and television shows, from Evangelion to Saturday Night Fever. Some of the jokes, like those regarding Macross and Gundam, will only hit home with some viewers, though the general irony of the zany situations the characters find themselves in is sure to hit a funny bone with just about every viewer. Season two does not carry out as many parodies as season one did, however. This is due in large part to the fact that the show has defined itself and has a more concrete idea of where it is going from start to finish. Because of this, the parodies and satires are not always as direct as in the first season, but are still relevant to the greater plot of whatever episode they are being worked into. The high points of season two may not be as high as the best bits in season one, but the low points are not as low. While the first season only stumbled a few times, they were significant enough to render at least one whole episode practically worthless. Thankfully, not a single episode in season two falls as flat as that particular one did last time around. Generally speaking, Funimation tends to do a solid job in designating voice actors to their respective roles. Sgt. Frog has a standout English cast, one that is - in many ways - superior to the Japanese cast. Todd Haberkorn is absolutely masterful in his portrayal of Keroro, embodying the frog's persona through each line and delivering jokes with perfect timing. The rest of the cast does not follow far behind, and all of them make the viewing experience so wonderfully enjoyable. The soundtrack is simple but fitting for this comedy anime, while the animation is at approximately the same level as it was last time around. The art style is visually pleasing and each episode presents itself well enough. But it isn't the visual treat of any Madhouse or Studio IG production. Anyone who might have had qualms about Sgt. Frog's humor dwindling in the second season can lay their worries to rest. While it's true that the best moments are not as great this time around, this is still one of the funniest anime series around - most of the humor remains in territory friendly toward a younger audience, but every once in a while borderline-adult comedy sneaks into the mix, making the show enjoyable for a broad audience. If you enjoyed the Armpit platoon's antics in the first season, strap yourself in and prepare for the zany antics to continue. Season two is just plain fun to watch and laugh at. The Dinobots are a interesting new group to have thrown into Transformers: Fall of Cybertron. We have already seen how different Grimlock's gameplay will be from the traditional Autobot controls in the first game. Now, High Moon talks about the origin story for the dinobots and how it is different from other Transformers lore in order to fit into the War for Cybertron/Fall of Cybertron storyline. 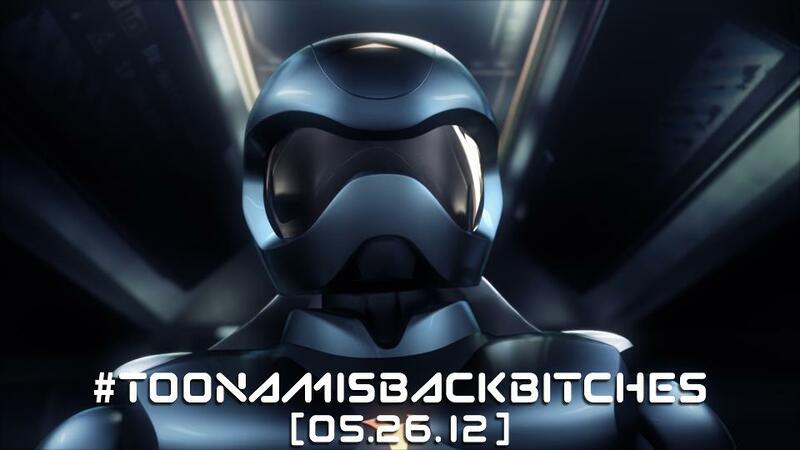 In case you have not yet seen this image, it is official - Toonami is back, starting May 26th. It seems the messages many sent along to Cartoon Network (myself included) paid off. Honestly, I was excited enough at the April Fool's programming, and I really did not expect them to bring it back as a full block. As happy as I am that a whole generation gets to relive their childhood before the end of the month, I'm even more hopeful for an entirely new generation who will now have easier access to anime. When Toonami originally aired, anime DVDs were difficult to come by, and those that were in stores were generally rather expensive. While it is true that many anime distributors host episodes of some of their shows online, there's something great about sitting down and watching the latest episode your favorite show or checking out some entirely new anime you might not have otherwise watched. Toonami is what introduced me to my first anime, Ronin Warriors, as well as some of my favorites like Outlaw Star and Mobile Suit Gundam: 08th Ms Team. The atmosphere of the programming block combined with the variety of shows aired were the major factors that kept me so entertained. I hope that kids young and old find the same holds true for them following Toonami's long-overdue return. 343 Industries has announced a limited edition release for Halo 4. This version will include a plethora of goodies. As far as the in-game content is concerned, purchasers will be allowed to download nine extra multiplayer maps. They will also be privy to six specializations, which in turn allow players greater customizations to their multiplayer Spartan-IV character. Also included are extra in-game armor and Assault Rifle skins, and some gear for Xbox Live Avatars. 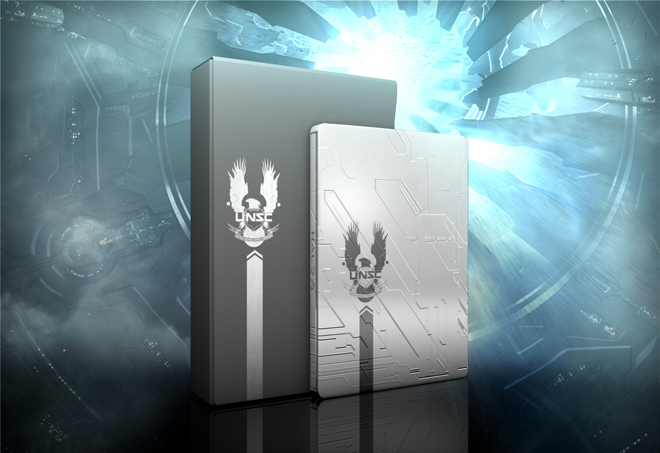 With regards to physical items, the limited edition will be host to a briefing packet on the UNSC ship Infinity, which plays a key role on the multiplayer side of Halo 4's story. It seems this will be similar to Halsey's journal from the limited edition of Halo: Reach. Finally, the ninety-minute Forward Unto Dawn series, which chronicles Master Chief's story in the early days of the Human-Covenant War, is included. The Halo 4 limited edition will retail for $99.99, which really isn't too shabby, considering everything included with the game. I'll probably end up getting it primarily for the Forward Unto Dawn series, as I am really interested to see how Chief will be portrayed pre-Halo: CE/Halo 2/Halo 3. There have been some rumors circulating the web recently regarding the possibility of a new Star Fox game for Nintendo's upcoming console, the Wii U. Star Fox has became a big hit with Nintendo fans due in large part to the N64 version, which allowed players to take different paths through the Lylat system in order to reach the final boss fight against Andross. What I personally find to be the most compelling aspect about this rumor is that it is often associated with Retro Studios being the developer of said game. Looking back on Star Fox 64, it really does not present that long of a gaming experience, but still plays brilliantly with its arcade-style gameplay and cool level designs. I have always found it a bit odd how many people have demanded a new Star Fox title for years on end, following the success of Star Fox 64. Many people act as if the three new installments (Adventures, Assault, and Command) since never occurred. I've never been much a fan of Star Fox Adventures. It felt too far removed from the traditional Star Fox gameplay, and took forever for the story to get going. The concept of a planet populated by dinosaurs was entertaining, but it felt off for one of Fox McCloud's adventures, especially considering the fact that he faced it without the aid of Falco, Slippy, or Peppy. Flash-forward to 2005, and Nintendo released a Star Fox game that was in keeping with its SNES and N64 predecessors. Star Fox Assault proved a more linear approach to the ship-based combat, but offered variety in gameplay via on-foot missions and use of the Landmaster tank. To this day, I still hold Star Fox Assault to be one of the most underappreciated titles on the Gamecube. Certainly it's not perfect; the experience is rather short, and the difficulty is lacking in parts. But it looks gorgeous for the hardware, has a great soundtrack, and is a heck of a lot of fun to play. If indeed Retro Studios is developing a new game in the series, I'm sure it will turn out splendid. Retro Studios has earned a lot of respect from me, primarily for their resurrection of the Metroid series. But they have also done a great job with Donkey Kong Country Returns. They know how to keep a seemingly-perfect balance of new content with the familiar roots that fans have come to know and love with these games. I would love to see a Wii U Star Fox that blends the decision-based outcomes of Star Fox 64 with the varied mission parameters from Star Fox Assault. Prior to the rumors spreading, however, Retro Studios had already confirmed that they were working on a game that they said "everyone wanted them to make". It's true that a new console Star Fox game has been in relatively high demand for a while, and the Wii was never host to an entry in the series. But the re-release of Star Fox 64 on the 3DS still seems to be performing pretty well in sales. One title that could be in keeping with Retro Studios' trend of breathing new life into older games (SNES-era games, to be more precise) would be Earthbound. For those not so familiar with Earthbound, it is the RPG from which Smash Bros. contender Ness originated from. While Earthbound did not perform outstandingly in sales during its initial release, its quirky style and gameplay has earned it a cult following since. It is the number-one requested game for the Wii's virtual console, and since Nintendo has not yet appeased the masses with such a release, a new Earthbound could be their answer. Frankly, I think it would be a great option. Not only would it please gamer who have been asking for a new Earthbound for years, but it could prove a prime opportunity to utilize the Wii U tablet controller. In the same vein as the Zelda tech demo displayed, a Wii U Earthbound could grant players use of the tablet to plan their attacks and keep an eye on their stats while the action takes place on the television screen. It could also be used to make the experience more immersive if, say, something as bizarre and haunting as Gigyas came onto the scene (I'm thinking along the lines of how Eternal Darkness would pretend to shut of the television and so forth). Both Star Fox and Earthbound would be great, especially if either one is being developed by Retro Studios. And who knows - maybe the title they are working on is something completely different. Hopefully we will get some confirmation at this year's E3. Yesterday, Irrational Games announced a new release date for Bioshock Infinite. While the game was originally slated to be released on October 16th of this year, it has been pushed back to February 26th of 2013. Irrational Games explained that they want to make the game as good as they possibly can before releasing it, which may be a hint to some new content being worked into the final product. I realize there is a certain method to the madness of delaying games and scheduling release dates, but I have mixed feelings at the moment. On the one hand, I have been looking forward to this game since the first teaser trailer was released. It was one of the big games alongside Resident Evil 6 and Transformers: Fall of Cybertron that I was most looking forward to, and late February seems like a really long ways away. On the other hand, I prefer my games to be complete and perfected to the best of the developer's abilities before they ship. I think Irrational Games knows just how important that last factor is, considering how much time and effort they put into crafting the first two Bioshock games. It seems that HD collections of games from last generation's consoles are all the rage right now - at least, from the developers' standpoint. And frankly, any given one of them - from the largely criticized Silent Hill HD collection to the more graciously accepted Devil May Cry and Metal Gear Solid HD collections - are solid packages for the price. Paying $30 to $40 for two to three games, each of which lasts significantly longer than many current gen titles is none too shabby. Personally, I would like to see some more of these HD collections hit store shelves. I realize that the some of the games listed below have a much better chance of seeing inclusion on an HD collection than others. But this is my own personal wishlist, and if I want to bend the rules a little bit, I shall do just that. With the WiiU on the horizon, Nintendo could break into the market of these HD collections by turning to releases from the purple lunchbox. While I personally stuck with the Gamecube through thick and thin, there are quite a few gamers who opted for the Playstation 2 or Xbox and in turn missed out on some great gems. Nintendo does like to group games based on the audience they are catering to, and as such I have organized two hypothetical Nintendo HD collections by the ESRB ratings of the included games. The first is the 'E for Everyone' collection, whose main attraction is Super Mario Sunshine. Mario Sunshine is an underappreciated entry into the plumber's adventures, and has a lot to offer in terms of playability. 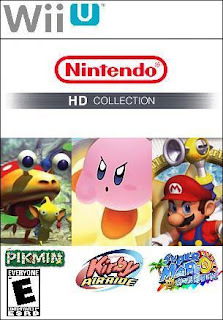 Included with it would be Pikmin, a brilliant little strategy/adventure game, and Kirby Air Ride, a very different experience with the pink puffball than his traditional side-scrolling platformers. The second collection would include games labeled with the 'T for Teen' rating. At the forefront would be Metroid Prime, which is hands-down one of the best games from last generation's consoles. The second entry would be Star Fox Assault, one of the most graphically gorgeous games on the Gamecube. The story mode is linear in comparison to Star Fox 64's multiple routes. But switching between vehicles provides dynamic gameplay and the multiplayer is surprisingly addictive. To top things off, F-Zero GX would be included for the gamers who want an extra level of challenge (which isn't to say that the other two are a cake walk). I love what Konami has done with the Metal Gear Solid HD collection, and I really commend them for porting Peace Walker over to consoles. I would like to consider the possibility of them creating another Metal Gear Solid HD collection, and including The Twin Snakes and Portable Ops. This might not seem as substantial a package as what the first MGS HD collection offered, but if they were to include the original Metal Gear Solid (accessible from the menu of The Twin Snakes in the same manner that Metal Gear and Metal Gear 2: Solid Snake were accessible from the menu of Metal Gear Solid 3) and the VR missions, as well as everything included with Portable Ops and Portable Ops Plus, the sum of those parts would serve as a nice rounded out package. I'm not knocking the original MGS. But the character models and environments are really nothing spectacular considering the graphical limitations of the original Playstation. That's why I would feature The Twin Snakes as a prominent part of the package. But if both tellings of the Shadow Moses incident can be incorporated into a second Metal Gear Solid HD collection, then obviously players should have their choice. 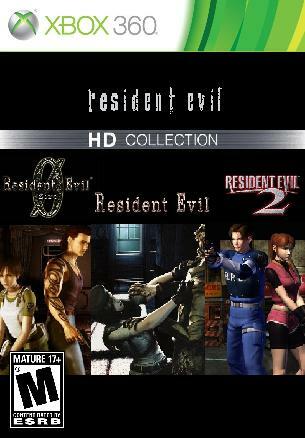 Capcom loves to repackage and re-release their games as many times as possible. While the HD versions of Resident Evil 4 and Code Veronica did not make as big of a splash as Capcom had probably hoped, they could easily make up for this by releasing a proper physical HD collection to follow up those two games. Should Capcom choose to revisit the formula that the older games in the series followed, my suggestion would be that they stick with the earliest events in the Resident Evil chronology. 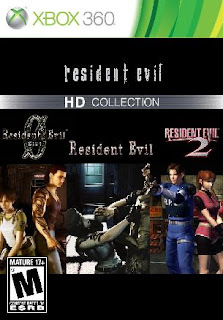 As such, the games I would include in a second Resident Evil HD collection would be Resident Evil Zero, the Gamecube remake of the original Resident Evil, and Resident Evil 2. The two Gamecube entries present the classic horror style that the series is known for, and look downright gorgeous for the hardware they originally ran on. Resident Evil 2 certainly looks more dated, but is one of the most popular entries in the series, and would be more warmly received than either of the Outbreak titles or Dead Aim. Finally, an entry that I really cannot see happening anytime soon (if at all) would be a Sonic Adventure HD collection. This collection would include both Sonic Adventure DX and Sonic Adventure 2: Battle, as those versions of each game would make for a more completed package. It's possible that SEGA could tack Sonic Heroes on as well, but beyond that there are really no other 3D Sonic games old enough to be considered for such a collection. The reason I consider a Sonic Adventure HD collection so unlikely is that Sonic Adventure was ported to the Xbox Live Arcade not too long ago, and SEGA even went ahead and released a Dreamcast collection disc that included the likes of Space Channel Five and Sonic Adventure. Also, Sonic Generations is still relatively recent in gamer's minds, so I can't see SEGA jumping on an HD collection anytime real soon. It's no secret that female characters in video games have generally taken to a few generic molds. There are the scantily-clad pixelated pieces of eye-candy who may or may not bear any relevance to a game's plot. There are the grumbling, rude, and (dare I say) bitchy types who are equally as obnoxious as the whiny childish brats that are seemingly meant to act as their polar opposites. While this trend has, generally speaking, improved in recent years (due in no small part to the increase in the number of female gamers), sometimes it can still prove difficult to come across a female character that plays a genuinely interesting and convincing role in a video game. #5 - Brigid Tenenbaum: One of the minds behind the creation of the Little Sisters, Tenenbaum is a prime example of how Rapture did not discriminate against anyone hoping to make their own way in the underwater city. Along with Dr. Suchong, Tenenbaum discovered the unique properties of ADAM and the sea slugs that produced it, as well as the fact that young girls proved the best hosts for recycling ADAM. When Rapture neared its tipping point, Tenenbaum and Suchong perfected a system of bonding each Little Sister to a Big Daddy guardian, and in that regard brought about some semblance of order into a city that was on the brink of Civil War. Brigid Tenenbaum worked on many research projects during World War II, and while the specifics of her actions are not fully known, she does inform both Jack and Subject Delta that she feels remorse for what she did during her time in Germany. After Rapture succumbed to its own complications, Tenenbaum felt it was her duty to protect the Little Sisters from the splicers running rampant throughout Ryan's dystopia. She gathered up as many of them as she could and holed up inside the safe house with them. After helping Jack break Fontaine's mind control over him, Tenenbaum asked him to watch over the Little Sisters, and entrusted him to take them with him to the surface once he had escaped, knowing that life in the outside world would be a vast improvement over their existence in Rapture. Years after she managed her own escape from Rapture, Tenenbaum takes notice of the kidnappings of many young girls. When she realizes it to be the work of the Big Sisters, she returns to Rapture and enlists the aid of Subject Delta to finish what she started. 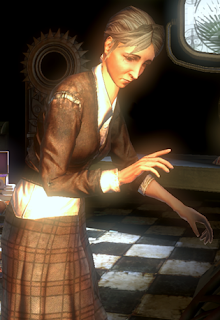 Early on in Bioshock 2, Tenenbaum is shown to have freed another group of Little Sisters. After leaving the company of Delta, Tenenbaum makes contact with Charles Milton Porter, an old colleague, and the two depart for the surface in hopes of mustering up some sort of plan to cleanse Rapture of the chaos and fear that holds sway over it. In the end, it is never made clear what Tenenbaum's plan of attack actually is, how long it will take, nor even if it succeeds. But between the audio diaries she left around Rapture and her more recent actions, it is easy to see the growth in Tenenbaum's character, as well as her consistent resolve to see her goals reached. 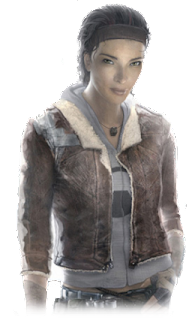 #4 - Alyx Vance: Gordon Freeman's partner-in-crime for the duration of Half-Life 2 and its follow-up episodes certainly knows a thing or two about combating the Combine. As Gordon has been absent during the years since the first game, he is dropped into City 17 as a stranger in a strange land. A fair distance from any sizeable force that would bring the fight to the combine, Gordon briefly meets with Barney and Dr. Kleiner, who introduce him to Alyx Vance. Alyx is something of a rebellious individual, going against her father's wishes as she jumps feet first into danger. But she is not someone who could be considered reckless. She has an extensive knowledge of the Combine, from their weaponry to their behavior. That said, she does find herself in a tight situation on more than one occasion, and it is up to Gordon to come to her rescue. But there is no denying how valuable a resource Alyx proves to Gordon as his guide, ally, and friend throughout the events of Half-Life 2. #3 - Princess Zelda: The princess of Hyrule has taken on many forms over the years, from a classic medieval damsel in distress to a pirate captain that can hold her own against monsters that roam the sea. There are a few versions of Zelda that stand out to me above the rest; her incarnations from Skyward Sword, Wind Waker, and Ocarina of Time being the best of the bunch. Skyward Sword's Zelda has arguably the most personality of them all as Link's childhood friend. There are early indications of a romantic playfulness between these two main characters, but before things can get too far along Zelda is whisked away by a tornado and begins her own separate journey on the surface world, which will one day come to be known as Hyrule. While players are not allowed to see exactly what happens during Zelda's journey until the credits roll, the game does present the sense that she is working toward a greater goal just as much as Link is. Tetra/Zelda from Wind Waker has some attitude. She's the captain of her own ship, and unlike previous games in the series, does not seek out Link's aid early on. Rather, she reluctantly allows him to travel on her ship. She takes a liking to Link later on in the game, allowing him to help himself to her crew's stash of stolen bombs. The only problem I have with Wind Waker Zelda is that she gets shut up in Hyrule castle only moments after her true identity is revealed, though the game sort of makes up for that by making her one heck of a shot with the bow during the final fight with Ganondorf. Ocarina of Time Zelda is the one I use as the standard to compare to all others. It is the first version of Zelda I was introduced to, and a version of the princess that is quite interesting. While she does flee Hyrule castle when Ganondorf's forces overrun it, she does not simply go into hiding. Instead, she takes on the guise of Sheik and helps Link on his quest to save the kingdom by allowing him to access new areas and providing him with advice on how to get past certain obstacles. It's true that playing the role of Sheik forces Zelda to take on some masculine characteristics in order to see that Ganondorf fails. But it also proves how resourceful and determined Zelda is to see such a plan through. #2 - EVA: the femme fatale of Metal Gear Solid 3, EVA is presented as a enigma. 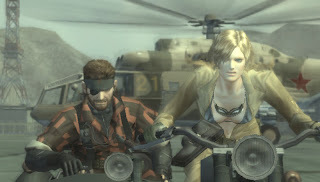 On the surface, she is a spy who is both Snake's contact for inside information regarding Volgin and the Boss, and is constantly teasing him with notions of seduction. But beyond the jumpsuit and the black bikini lies a character whose story is much deeper than Snake Eater initially lets on. Her appeal to Snake is pretty obvious. He is dropped into the middle of a jungle and not only is she his ally, but her role as his love interest is made apparent very early on. She enjoys teasing Snake, as evident in practically every one of their encounters. But EVA also recognizes the importance of their mission, and can manage flips on her motorbike and can wield a pistol like nobody's business. EVA saves Snake's life on a couple of occasions, and it is during these moments that her character takes a more serious approach. When Snake has his doubts about the mission or still can't bring himself to come to terms with the fact that the Boss defected to Volgin's forces, EVA is there to pick Snake back up and get him on his feet again. But she isn't there to babysit him. EVA knows that Snake needs to face his own demons, despite the fact that she tries to convince him that he shouldn't face the Boss in battle. At the end of the game, it is revealed that EVA was in fact a spy for the Chinese, who wanted to get their hands on the Philosopher's Legacy just as much as anyone else did. EVA does not tell Snake in person. Rather, she leaves him a pre-recorded tape after they spend the night together. She informs Snake of the fact that the Boss never really betrayed him, but was pinned as the scapegoat so that the U.S. could cover their tracks. EVA then apologizes to Snake for everything. EVA could have withheld this information, and Snake would have gone on believing that the Boss had betrayed her country and her apprentice. But she chose to reveal this to him, which was largely what led to Snake's distrust in the U.S. government, and ultimately to his organizing of the Militaires Sans Frontières and Outer Heaven. EVA truly cared about Snake, enough to disassociate herself from him for years with the hope that none of her future actions would bring him pain. 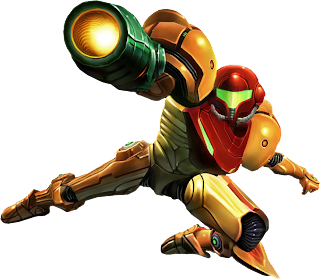 #1 - Samus Aran: The original girl of gaming herself, Samus Aran first came onto the scene as a bounty hunter that gamers assumed to be male. That is, until the ending of the original NES Metroid proved otherwise. Samus' story is a classic tragedy of a girl whose family was murdered at the hands of the space pirates. She is taken in by the Chozo, and trained by Old Bird to become the most skilled bounty hunter in the galaxy. Her arsenal includes a wide array of projectiles like missiles, the wave beam, the ice beam, the plasma beam, and the dark and light beams. Her suit can be upgraded to accommodate to different environments, such as the Gravity Suit which allows for easier movement underwater, and the Light Suit which protects Samus from the harmful air on Dark Aether. Her morph ball mode not only allows Samus access to small areas, but come equipped with bombs and a spider ball mode that magnetically attaches to certain tracks. Samus has crossed paths with the Space Pirate forces many times, and has gone toe-to-toe with their leader Ridley on just as many occasions. She single-handedly put a stop to the threats presented by Kraid, Mother Brain, the Ing swarms, and the entire Metroid populace of SR388. She even managed to defeat doppelgangers in the forms of the SA-X and Dark Samus, and has traversed the most dank and dark of caverns on many alien worlds. Samus is a rare breed of female lead character, in the sense that she has never been changed to appeal to the sexualization of female characters. She's a cold and solitary individual, and her story is a melancholy one. 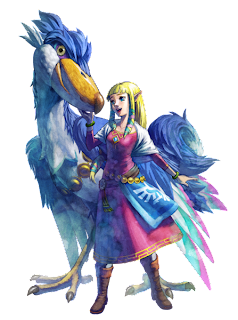 But in my opinion, her character is one of the most intriguing Nintendo has ever created. Bethesda is taking their popular RPG series into the realm of online gaming. This should come as little surprise. Rumors of an online Elder Scrolls game have been circulating the internet for years. And with the huge success of Skyrim, it's perfect timing for Bethesda to uveil this new entry into the series. The Elder Scrolls Online will allow players to join one of three factions as they explore the entirety of Tamriel, and is scheduled for a 2013 release.